NEWER HOME WITHOUT THE WAIT! Fabulous floor plan with spectacular mountain views in this 2017 built Richmond American executive home w/private cul-de-sac one-acre lot. Gorgeous chef's kitchen with upgraded wolf gas range/double ovens plus a wolf wall oven & microwave, subzero fridge & gigantic island that every cook will enjoy. Entertain in the eat-in kitchen or formal dining room. This open floor plan has a formal living room & huge great room with upgraded sliding panel windows to create an indoor/outdoor ambiance. There is a private room with a full bathroom split from the three bedrooms on the other side of the home. Two huge closet spaces, a large bathroom and sitting area in the spacious owner's suite. 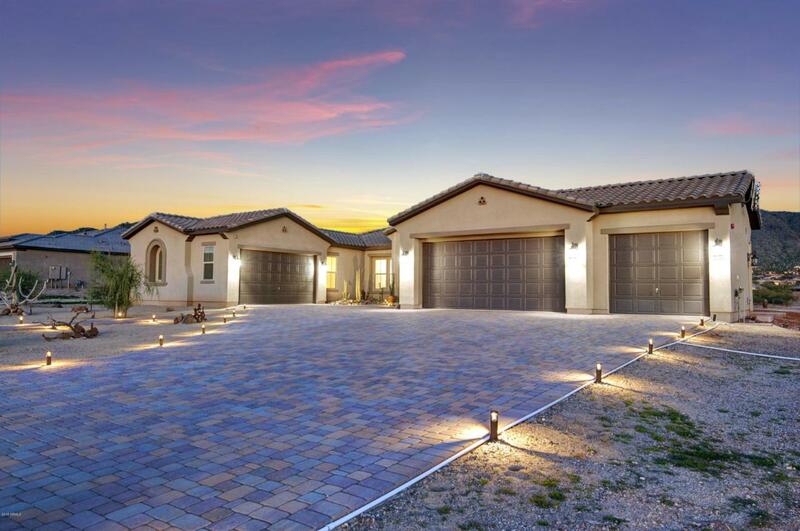 A FIVE CAR GARAGE is perfect for the car enthusiast. Enjoy your new home! Listing courtesy of Key Results Realty Llc.